My illustrations for Chrysler, of which these are a sampling, featured their motors, air bags, anti-lock brakes, visor phone, remote entry, and other features. 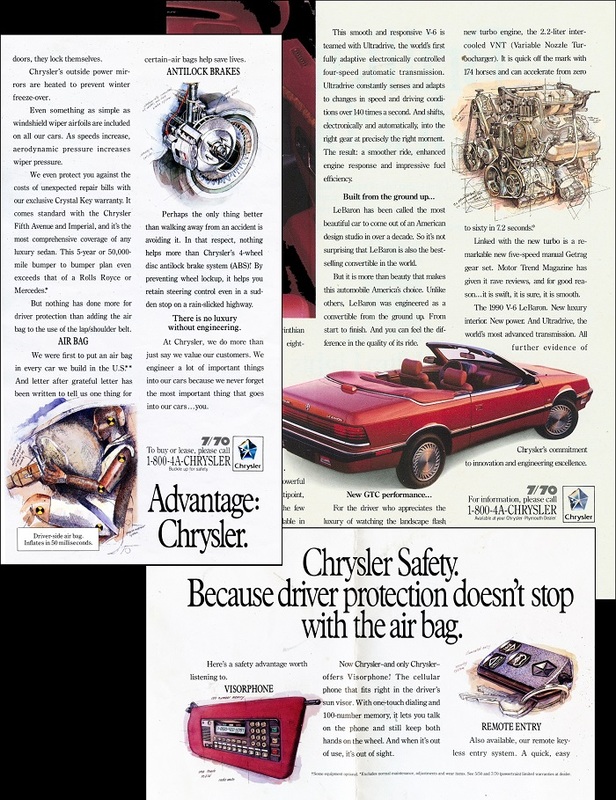 Chrysler ran the art in various one- and two-page layouts that appeared in every Time and Newsweek magazine for a season. These Chrysler drawings are very small – often only inches in diameter. In addition to the magazine ads, Chrysler made huge posters of my art, enlarging my drawings to four or five feet across. That was interesting to see, but I greatly preferred the small versions.